← Like me and I’ll like you back. Reciprocity, social media style. up and let you know a few of the images aren’tloading correctly. Thanks Carmella. Sometimes images that I’ve linked to go away, and “break” on my page. Hysterical video! You are so ‘spot on’ with the whole poor customer service thing. I wonder if they even know how bad they are…… such a shame. Short hills also told me my bag was old, and could not be repaired. The shoulder strap needed to be replaced.. My son took the bag to NYC store, they accepted it and sent it off to repair. Very pleased with NYC store. Short hills is lazy. I’m pleased to hear your bag was repaired (as was mine). Lazy is definitely one explanation, but whatever the reason, it’s inexcusable. 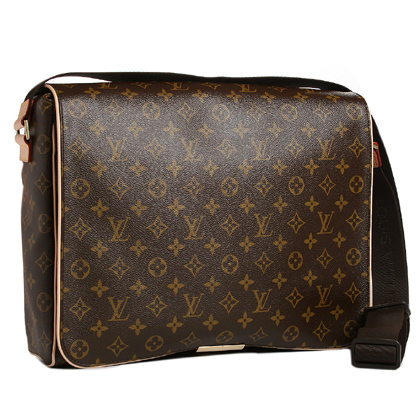 Let me get this straight – you bought a LV bag and used it as a diaper bag for 11 years and three children, and are upset when they refused to continue repairing it? That’s just stupid. You more than got your money’s worth with your decade plus of use. Quit griping. You’re kidding right? Did you actually read this post? And if so, all you got out of it was me ‘griping’ about their refusal to fix it? I suggest you re-read it and then get at me. DITTO! Went into Short Hills Louis Vuitton store yesterday to get a year old wallet fixed that started to fray. Thinking they would maybe swap it for a new one – NO! They said it was our fault for the way it looked from taking the wallet in and out of a pants pocket. For a $400 year old wallet they told me they could not repair it in store – has to spend $70 to sent it out and other $15 to get it sent back to my house. AND that it would take almost 2 months. Rude and inconsiderate! Liz bought a Louis Vuitton bag, then took it into get it fixed, but identified the zipper was still screwed up. Without letting her understand what they were performing, the CSR took her bag away and sent it off to be repaired, telling her she had have to spend $155 if she wished to obtain it back functioning condition.